THE STEPHEN GILBERT YEARS AS MY MP. This question was put to me by my MP Stephen Gilbert in his letter of 11 July 2014, from the House Of Commons. The generally accepted definition of “Sitting on the fence” is one’s neutrality or hesitance to choose between two sides in an argument or a competition, or inability to decide due to lack of courage. This is done either in order to remain on good terms with both sides, or due to apathy to the situation and not wanting to choose a position with which one doesn’t actually agree. So where do I begin with a fence that is now as tall as it is long and as perilous for you Mr Gilbert to leave as it is for you to remain. My correspondence with you Mr Gilbert began in 2011 and concerned criminality by my landlord and charity Sanctuary Housing upon myself and your other constituents at Timber Close, St Austell. In fact Mr Gilbert you still receive a copy of an updated weekly email sent to Sanctuary’s Managing Director Simon Clark and CEO David Bennett CBE, which is now in excess of 25 pages long and contains unresolved issues going back to 2009. Up until late 2014 Sanctuary Group Board member Judge Rosemary Crawley also received a copy of the weekly email. The following is what you have been made aware of over the past 4 years and I regret to say not one single issue with Sanctuary, Cornwall Council and others, has been resolved. Criminality is as rife now as it was in 2009. 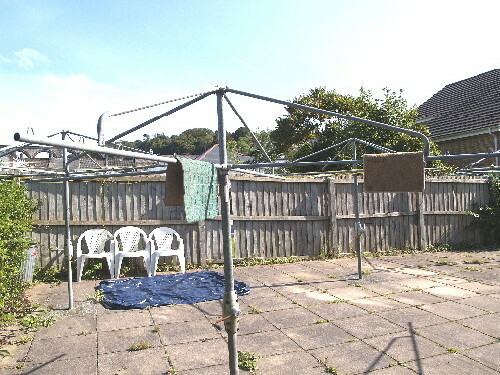 2009, the year Cornwall Council became a unitary authority, was a bad year for Timber Close as grounds maintenance services were neglected for much of that year by Sanctuary. Sanctuary’s remedy was to cover-up events because it had fraudulently taken weekly Service Charge payments for services it had failed to deliver. Tenants were then deceived into voting to have their overgrown and neglected environment returned to how it should always have been maintained, and all 6 rotary driers needed to be replaced. The picture shows the neglected flats communal area in 2009. Overgrown and neglected bushes and hedgerows, rotary driers without lines, growth between flagstones and weeds all around. A thirty foot long length of the bleached out fencing in the background of the picture was blown down in the storms in January 2014, including other damage on the estate, which I will return to later. Towards the end of 2009 I lodged another formal complaint against Sanctuary, the previous 2 being corrupted by management, and I was offered a choice in 2010 of either remaining at Stage 2 of it’s complaints procedure indefinitely or accept external mediation. With little choice but to accept what was blackmail, for want of a better word, I agreed in principle to mediation. Mediation by TPAS was funded by the Charity which had “devoted considerable time and resources”, with approval from CEO David Bennett, but the process proved to be a Scam and I was made the victim of a crime. Although Sanctuary’s Simon Clark, then Group Director – Housing & Communities, confessed a year later that mediation was a mistake, he then insisted I either return to the original in-house complaints procedure or he would close the complaint. Unable to accept being blackmailed a second time, and because the complaint went beyond the scope of the Housing Ombudsman, I was again made a victim as Simon Clark closed the then 800+ day old complaint unresolved and against my wishes. 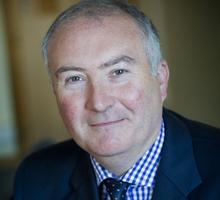 Pictured is Simon Clark, Managing Director, Sanctuary Housing Services Limited. You will recall Mr Gilbert you have written to Mr Clark a number of times but nothing has ever been achieved or resolved. In fact one of your last letters from Sanctuary Head Office was not even replied to by anyone from Head Office despite it being sent from Head Office. Sanctuary Housing, the largest social housing provider in the country, and TPAS, with links to government, held covert mediation in a Cafe without my knowledge or consent, or the permission of the proprietor of Cafe to conduct mediation on the premises, and produced a report for the sole purposes of burying complaints involving criminality by Sanctuary. 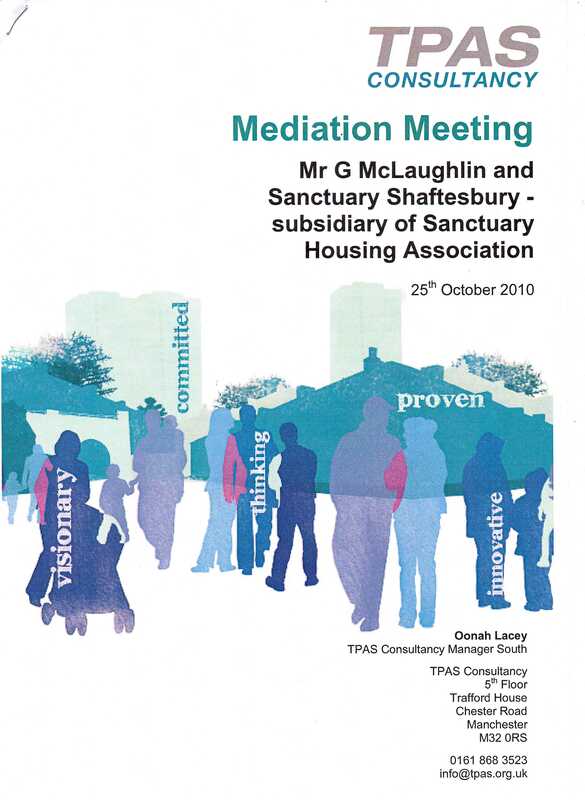 Because the mediator was representing Sanctuary on behalf of TPAS she was not impartial, and TPAS itself was not impartial because Sanctuary was a flagship TPAS Accredited Landlord which needed protecting. Pictured is a TPAS header. TPAS stands for the ‘Tenant Participation Advisory Service’ and is little more that a protection racket for landlords and for controlling tenants. The current TPAS CEO Jenny Osbourne, formerly Topham, was fully aware of the mediation Scam, and the then TPAS CEO Michelle Reid was involved in a cover-up not helped by Simon Clarks later confession. 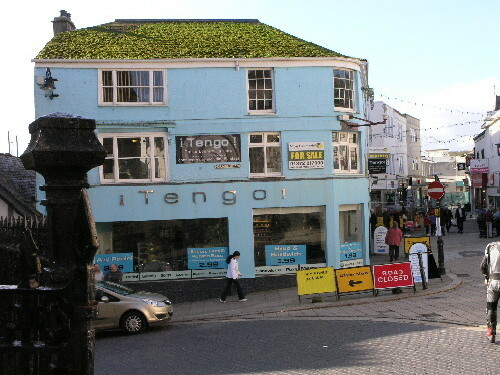 Pictured is the Tengo Cafe where the covert mediation Scam took place on 25 October 2010. What should have been an informal one to one chat with TPAS Consultant Manager Oonah Lacey about my problems with Sanctuary was a Scam to protect Sanctuary. Sanctuary’s contribution to the Scam was in the form of Diane Parsons who was under instructions not to appear until after the informal one to one chat was under way. 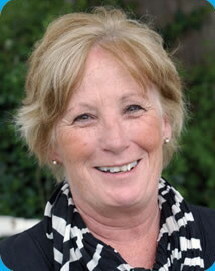 Pictured is Diane Parsons formerly of Sanctuary Housing and now with Guinness Hermitage. More about Diane later. Pictured is the TPAS Mediation Meeting Report which resulted from the informal chat. Throughout 2011, the year my correspondence began with you Mr Gilbert, much of my time was spent being harassed by an anti-social tenant who had been allocated the part furnished flat below mine due to it being ‘ringfenced’ by Sanctuary and Cornwall Council. This despite Council assurances it never ‘ringfenced’ Homechoice properties. That Homechoice bidders were deceived into bidding for a flat already allocated, and disabled bidders were discriminated against in not being told the flat was actually a ground floor flat with a wet room. That a young perfectly able bodied out of Care tenant was protected by Cornwall Council and Sanctuary despite multiple complaints and twice breaking her Tenancy Agreement. That despite a Council Official requesting the Council should explain itself the Council never did. What the Council did do was ‘ringfence’ another flat nearby within months for a friend of the young woman below me, who was also out of Care, and they jointly accumulated complaints. Over 200 Homechoice bidders were deceived into bidding for these 2 ‘ringfenced’ flats and the well documented ’40 Days of Hell’ occurred during this time. Pictured is the newspaper advertisement for Homechoice flat Ref : 2797, which was ‘ringfenced’ for the young out of Care tenant below my flat. The picture is misleading because it shows houses. The reference to it being a “1 Bed 1st Floor Flat” was false because it was a Ground Floor Flat, and the “Preference to applicants accepted as statutory homeless by Cornwall Council” discriminated against the disabled and infirm in not giving them preference because the flat had a specially adapted wet room. Also not mentioned was the fact the flat was partly furnished. Numerous Homechoice properties have been covertly ‘ringfenced’ at Timber Close and perhaps the most notorious of these is Homechoice Property Ref : 6690. Pictured is the web advertisement for Homechoice Ref : 6690, which was advertised during February 2012, and attracted 121 bids. What Homechoice bidders did not know was the flat was ‘ringfenced’ and part furnished. Note the misleading use of the picture showing houses again. The flat turned into a drinking den and the only people to visit the flat as often as alcoholics were the police as Sanctuary’s Housing Officers gradually withdrew from visiting the scheme regularly. This despite Sanctuary’s obligations and responsibilities to all it’s tenants. During 2014 the toxic waste dump covertly created by the Council and Sanctuary became more unsettled. So much so that on 21 April 2014 I warned Sanctuary CEO David Bennett, Simon Clark and Judge Crawley in the weekly email that someone would die here sooner or later. This was repeated every week thereafter. On 26 May 2014 I again expressed in the weekly email that someone would die here sooner or later and also made reference to another tenant who had also expressed her concerns to Sanctuary. 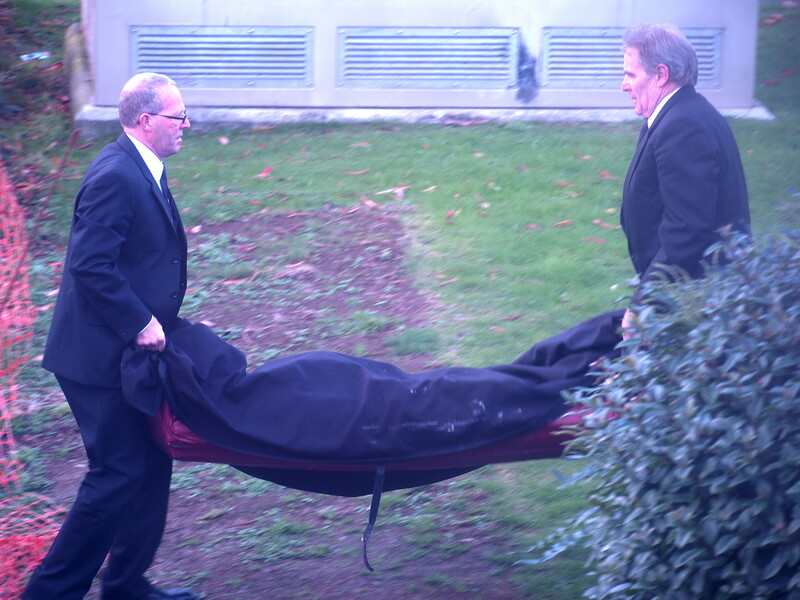 On 2nd November 2014 the body of a young 30 year old woman associated with the drinking den was removed from a nearby problem flat in a body bag. 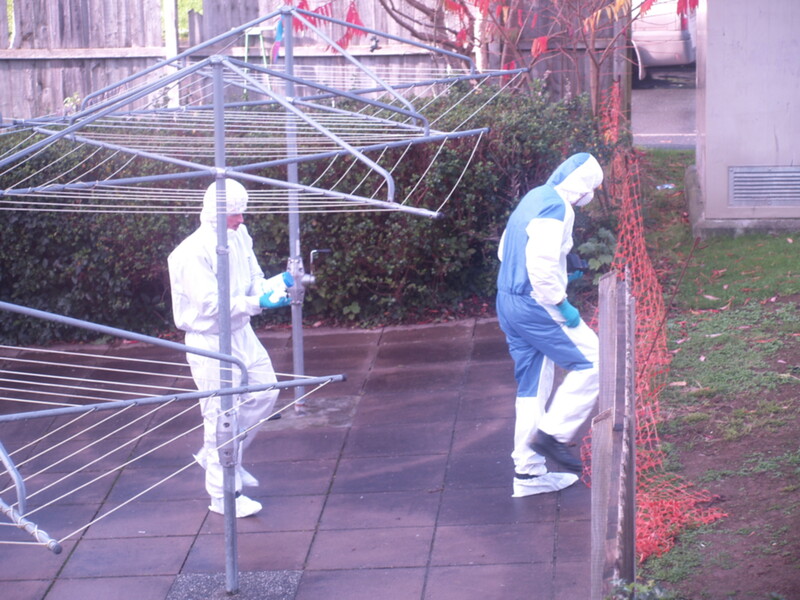 Pictured is 2 forensic police officers conducting their investigations. 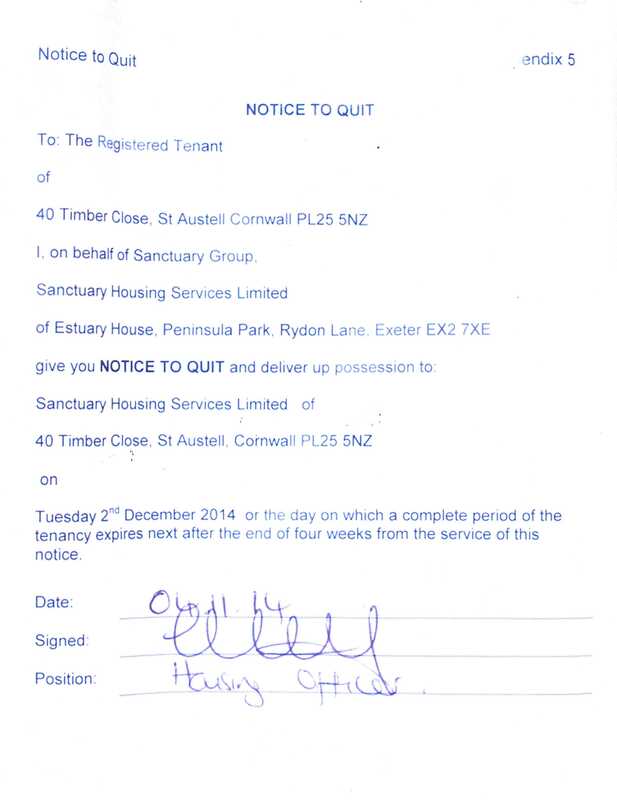 Within days the tenant of the drinking den was served a ‘Notice to Quit’ by 2 December 2014, but was actually transferred to Newquay before December and is presently to be found somewhere in the Falmouth area I’ve been told. I refer to this period of time as ‘Detoxification’ by Sanctuary and the Council to avoid further problems arising from the covert toxic community they jointly created and was funded by the tax payer. 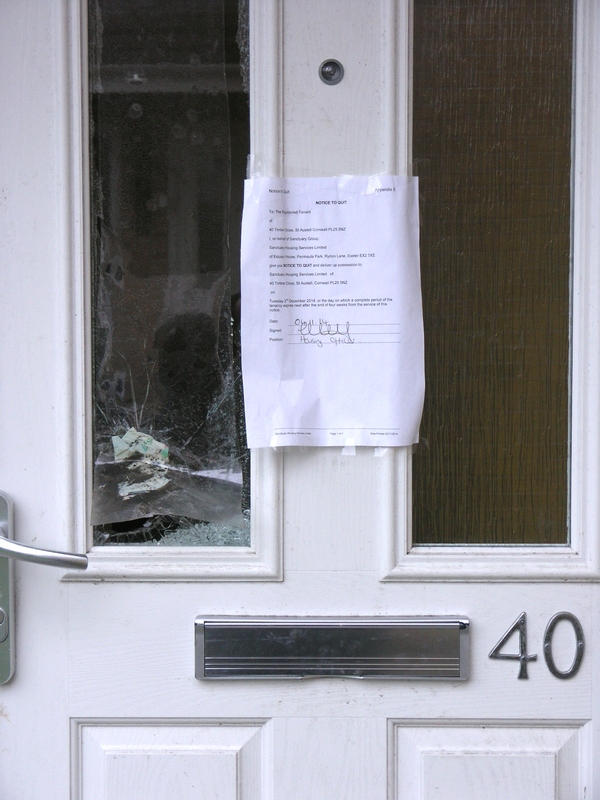 The above is the ‘Notice To Quit’ which was served to the Registered Tenant on 4 November 2014, and was fixed to the front door for all to see. Pictured is the young woman being carried in a body bag to an awaiting black ambulance. CEO David Bennett, Simon Clark and Judge Rosemary Crawley must each accept some responsibility for the death of this young woman, which I also extend to Cornwall Council and you Mr Gilbert. Had a hole in the glass door panel been repaired soon after it was reported to CEO David Bennett, Simon Clark and Judge Crawley in the weekly email dated 16 June 2014, and every week thereafter, a lot of ‘visitors’ would not have been able to gain access so easily and would probably have either moved on or not bothered visiting. Pictured is the hole in the glass door panel through which ‘visitors’ let themselves in. The ‘Notice To Quit’ can clearly be seen. The hole was actually made by the police to gain entry prior to 16 June 2014. Despite the flat being advertised by Cornwall Homechoice in March 2015, and still being in a state of disrepair, the glass panel had still not yet been replaced when I popped into the flat on Tuesday 28 April 2015 to have a look at it. Pictured is the web advertisement for Homechoice Ref : 18420, which was advertised during March 2015. The ‘Recent Lets’ information is still unavailable. To date the flat has remained empty for some 5 months. Note the use of the same misleading photograph of houses again. WHO WILL BE NEXT ? I predict there will be another death here before too long involving the other problem flat. Sanctuary, the Council, the Trust and the police will know which flat I am referring to because the vulnerable tenant should never have been dumped here in April 2009. The tenant is supported from afar so Sanctuary, the Council, the Trust and the police can protect each other if a problem arises. Much in the same way as you Mr Gilbert sitting upon a fence looking the wrong way. 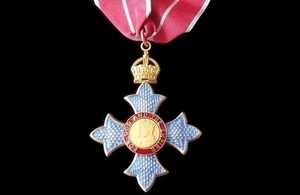 It was announced in December 2014 that CEO David Bennett would be awarded a CBE for his services to housing. CEO David Bennett CBE is currently paid £314,416 a year not to abdicate his responsibilities to the charity or it’s tenants. My personal view is CEO David Bennett CBE has failed miserably, has abdicated his responsibilities, has abused Charity funds, is not fit for purpose, is a criminal and should be sacked, arrested, questioned in court and locked up when found guilty. If only for what has happened to me. Pictured is Mr David Bennett CBE, CEO of Sanctuary Housing. 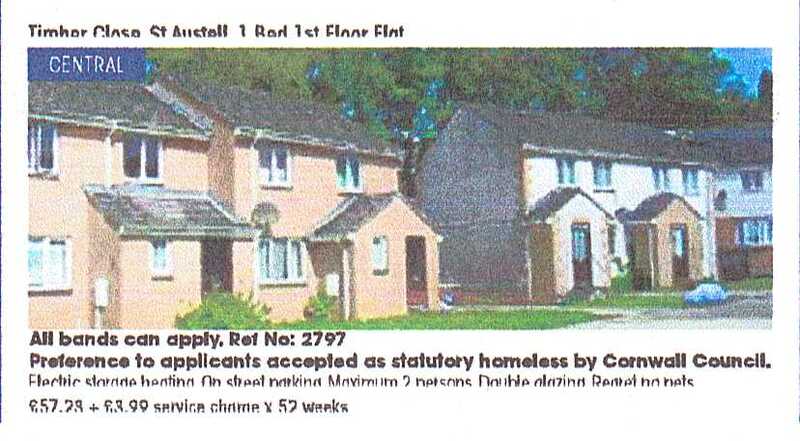 Since 2009 I would estimate the equivalent to 2 years revenue from a flat has been lost as a result of Sanctuary/Homechoice properties in Timber Close being willfuly kept empty for too long. What I don’t know is if the losses are down to the Council or the Charity or if increased rents make up the losses. Based on the total charges for the recently advertised flat 40 Timber Close, Homechoice Property Ref : 18420, the amount of losses over a 2 year period would be in the region of £7,500, or more if houses were involved. Perhaps you could tell me Mr Gilbert if this is lawful ? 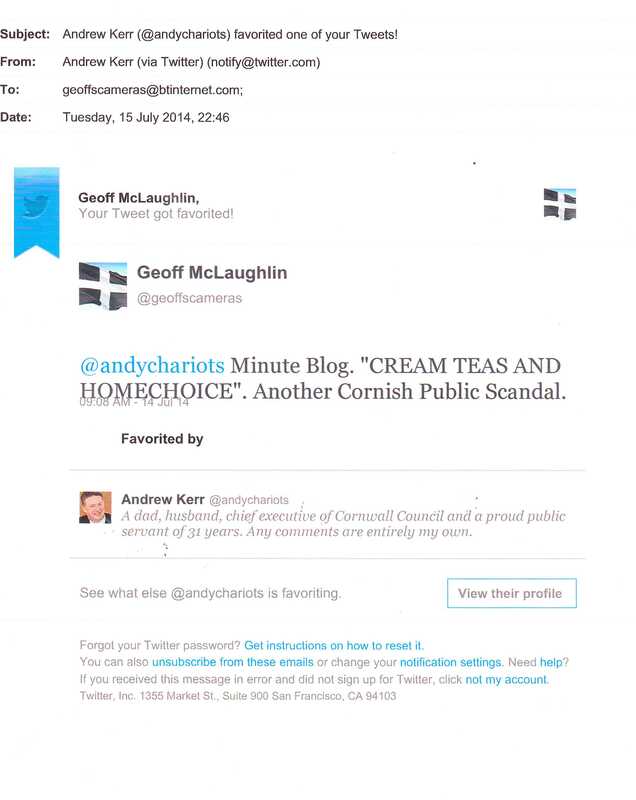 Pictured is Cornwall Council’s CEO Andrew Kerr’s Favourited Tweet of mine endorsing the notion of “Cream Teas And Homechoice, Another Cornish Public Scandal”. 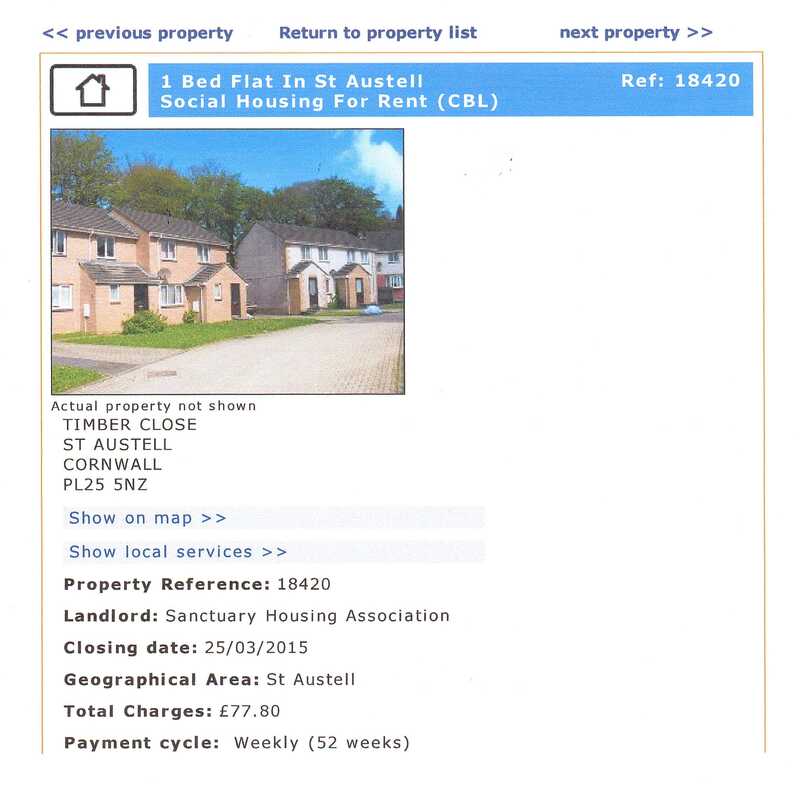 According to Cornwall Council “There are currently over 28,000 households registered with Cornwall Homechoice and only a small number of vacancies each week”, unquote. Which begs the question why do vacated Homechoice properties remain empty for so long ? And why has flat 40 been kept empty for some 5 months ? And is this really a fair and helpful way to treat people who long for a home ? Perhaps you could tell me Mr Gilbert ? Pictured is the Harassment Order which led to my arrest on 24 April 2012, when I was taken to St Austell Police Station, processed as a criminal and spent just under an hour locked up. The arrest concerned blogs on my website which were my only means of defending myself against extreme provication, namely the mediation Scam. That ex TPAS Consultant Manager Oonah Lacey, who was sacked by TPAS within months of the Scam for alleged fraud, had lodged a complaint of Harassment against me. Although all 4 Officers had found themselves in hot water it was the IPCC itself which reduced the temperature to protect all those involved, accept the victim, by deciding not to investigate crucial evidence. Pictured is part of Sgt 3097 Dave Cartwright’s (IO) Investigation Report to Line Manager Det Insp Stalley, stating the documents he had used. The written Statement of Complaint from Mrs Lacey was dated 05/04/2012, which can only mean either Pc Jo Wyatt lied in the investigation log or Sgt Dave Cartright lied in his Investigation Report. The IPCC decided not to investigate. Mrs Lacey also had some difficulty explaining in her Statement of Complaint what Sanctuary’s Diane Parsons job description was. Despite suggesting Ms Parsons was a gardener, a Housing Officer, an Officer of some description, Diane Parsons was actually a Senior Business Manager with Sanctuary with more experience in housing than even Ms Lacey had. Something else which was never investigated. 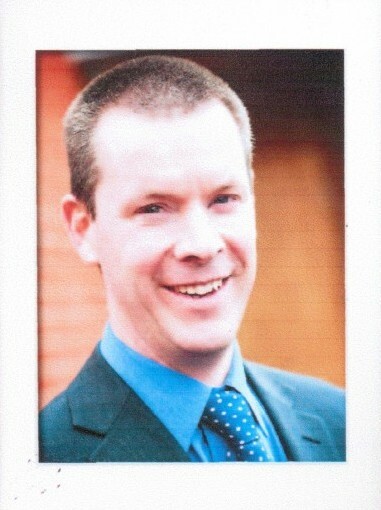 Pictured is Sanctuary’s Regional Director Richard Keeley. 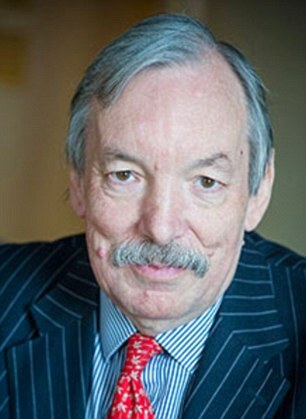 It was Richard Keeley who in 2010 made me an offer I could’nt refuse, external mediation or nothing. Although CEO David Bennett had opportunities and good reason to get rid of Keeley he was instead protected and re-titled ‘Head of Operations – South West’ around the time I was arrested. Simon Clark was later made Managing Director, and Judge Rosemary Crawley ceased to be a Group Board Member but remains complicit for allowing boardroom protocol to take precedence over her duty to uphold the law. The Judicial Conduct & Investigations Office could find nothing out about her on it’s data bases. Because Richard Keeley and Janet Swales were not sacked but instead protected by a very corrupt and complicit CEO and Board, I have been prevented from engaging with my area office since 2009, because Keeley is still in charge. 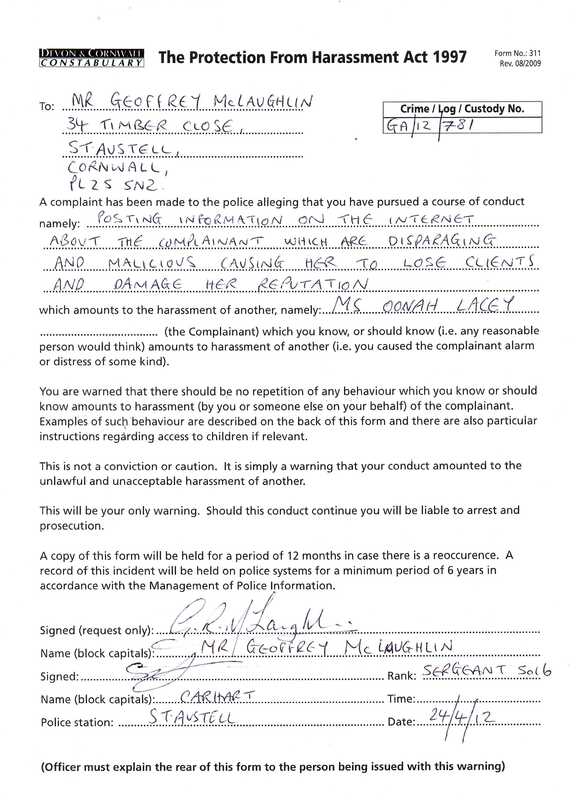 I have no doubt Sanctuary, with assistance from Cornwall Council, was behind the complaint of Harassment to the police by Mrs Lacey. Despite the solicitor advising me after interview that I had given the police little choice but to charge me, desk Sergeant Carhart then made a phone call before then issuing me with a caution only. A call I believe was to Judge Crawley who was also a Board Member of the Staffordshire Police Authority. Given the amount of lies in Mrs Lacey’s Statement of Complaint, which the police and the IPCC chose not to investigate, I have no doubt that had I been charged Mrs Lacey would have been found guilty of perjury and the police would have been found guilty of perverting the course of justice. Despite the written complaint naming me and defaming my character neither Devon & Cornwall Police or Mrs Lacey will let me have a copy of the complaint to defend myself. Within 2 months of my arrest Sanctuary wasted more of it’s Charity funds paying Wragge & Co to threaten me with the same Harassment legislation tried by Mrs Lacey. I believe Sanctuary backed off when they realized a complaint against the police was likely. IF HE IS NOT REPRESENTING THE TRUST WHO IS HE REPRESENTING ? 2012 was also the year my wife’s long term mental health problems continued to deteriorate so we applied to Cornwall Council for a 2 bedroom property in order for me to resume being her ‘recognized Carer’ 24/7 under the same roof. Pictured is the Cornwall Housing logo. 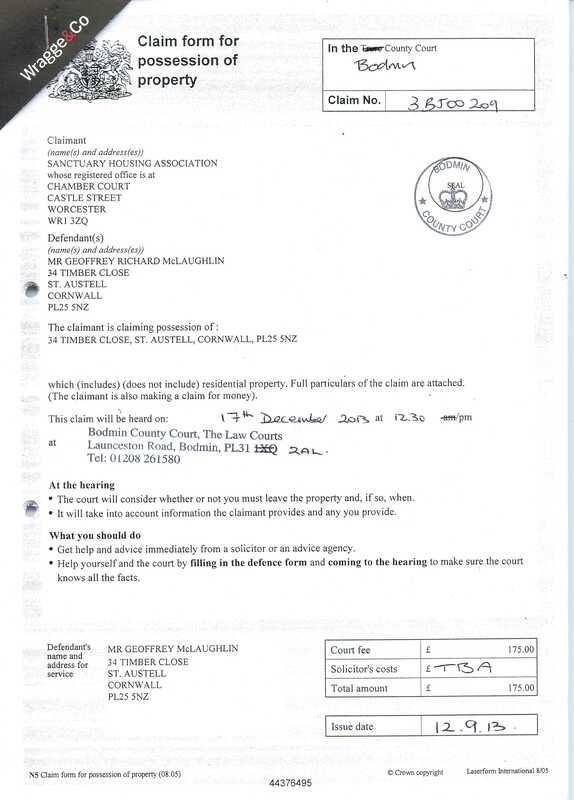 Cornwall Housing is the corrupt wing of Cornwall Council and is protected by a no less corrupt Council Legal Services department. Of the 3 Cornwall Homechoice Welfare Priority Assessments that took place in 2012 the 1st was deferred and the 2nd and 3rd were corrupted. This involved collusion between Cornwall Council, for willfuly disregarding Council Policies and procedures, and the Cornwall Partnership NHS Foundation Trust, for willfuly failing to provide a Mental Health Representative on any of the Panels to protect itself from it’s failures. According to an explanation to the Parliamentary Health Service Ombudsman in 2014, the Trust provided the Council with a ‘support worker‘, “and although he was employed by the Trust, he was not acting in an NHS capacity whilst he was a Panel member“, unquote. Within a year of the Welfare Assessments my wife, your constituent Mr Gilbert, died of cancer aged just 54 in June 2013. 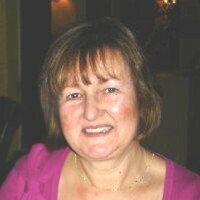 Because the Welfare Assessment award in 2012 was “Low Priority” she had to continue living alone and without any additional help, care or support from the Trust up until she died despite her coming under the umbrella of the Trust since 2002. To this day Cornwall Council and the Trust are still only engaged in protecting each other. Perhaps you could tell me Mr Gilbert if this even sounds an appropriate and fair way to treat someone with deteriorating mental health and cancer ? Hours before my wife died on 27 June 2013, Sanctuary hand delivered a Notice of Seeking Possession of my home as a result of confidential information about my wife which the Council wrongly shared with Sanctuary. Wrongly because my wife was neither a tenant of the Council or Sanctuary. The money Sanctuary sought to recover from me, by applying pressure when I least needed it, was being held in an Escrow Account because a proportion of it belonged to me as a result of Service Charge failures and fraud dating back to 2009. Pictured is the main Claim form for possession of property, issued by Sanctuary’s lawyers Wragge & Co., to attend Bodmin County Court some 6 months after my wife’s death and a week before christmas. The only piece of evidence Wragge & Co forgot to include was a copy of the papers which had been hand delivered hours before my wife died. Repossession was avoided after I was told the only people who would be in court would be Wragge & Co, the Judge, one other person, and myself without legal representation. I believe it was the late David Penhaligon MP, a Liberal, who stated that turkeys would not vote for christmas, so I sent Sanctuary a cheque and legal action was withdrawn. Despite Sanctuary having an opportunity to resolve our differences once and for all it has just been more of the same ever since. 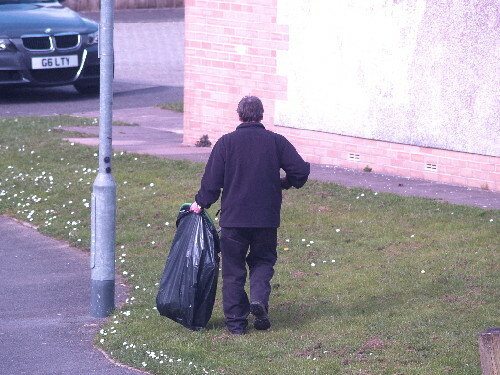 Pictured is a Sanctuary gardener picking up litter and who visits Timber Close 2 hours per week or less to carry out tasks specified in Sanctuary’s ‘Grounds Maintenance Specification’. Sanctuary refers to him as the ‘Estates Services Team’, I kid you not. The cost to the tenants, and to the Council by way of benefits, is in excess of £130.00 per week for less than 2 hours work, or over £500 per month for less than 8 hours work. I have been told a local firm would charge in the region of £10.00 per hour per man. This excessive profiteering has been going on since the major fraud of 2009, which led to the mediation Scam, and which has continued to this day thanks to the willful blindness of Cornwall Council and by you sitting upon your fence Mr Gilbert. 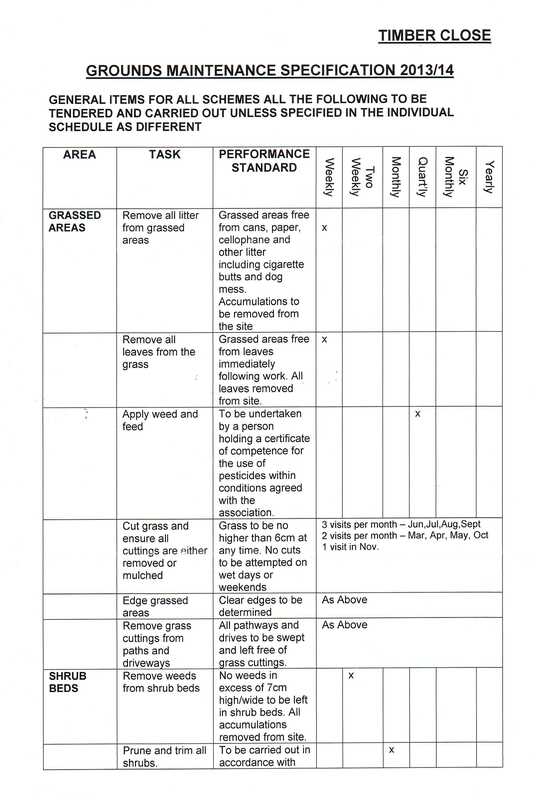 Pictured is the first page of Sanctuary’s ‘Grounds Maintenance Specification’, which details Area, Tasks, and Performance Standard, which must be done either Weekly, Two Weekly, Monthly, Quarterly, Six Monthly, and Yearly. Weeds for example should be removed from Shrub Beds every Two Weeks and from Hard Landscape/Paved Areas every Six Months. In reality weeding is never undertaken unless by accident. Every Shrub Bed and Hedge exhibit an abundance of weeds which have been living there undisturbed for many many years. This is only but one example of many GMS failures. Pictured is ‘Bennett’s CBE Folly’. 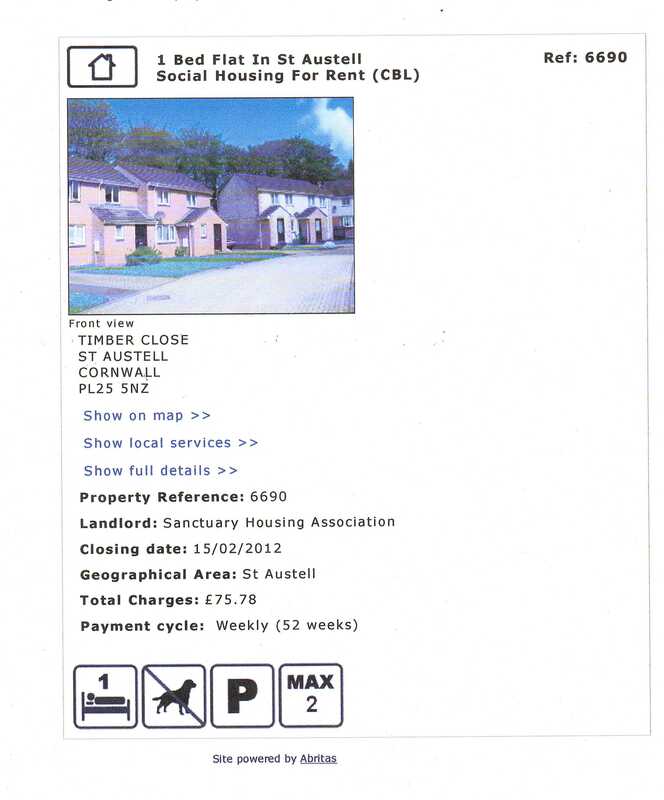 This was the subject of a challenge to Sanctuary, the Council, and to you Mr Gilbert in January 2015, when I invited each of you to visit Timber Close and explain to me in writing why you thought this construction was not defrauding myself, the tenants and the Cornish Tax payer, since it was constructed on 5 November 2013. Perhaps you could now tell me Mr Gilbert why you think this construction is not defrauding myself, your constituents and tax payers every second it remains ? In response to Sanctuary’s failure not to re-position the interfered with rotary driers or level the construction within 8 weeks of 16 January 2015, I set up another Escrow Account and have continued paying the weekly Service Charge into the Account and will continue to do so until I am taken to Court. When I am taken to Court I will seek to recover all the money Sanctuary has willfuly and criminally cheated me, and others, out of since 2009. The Account is called the CBE Account which stands for the ‘Corrupt Bennett Escrow’. 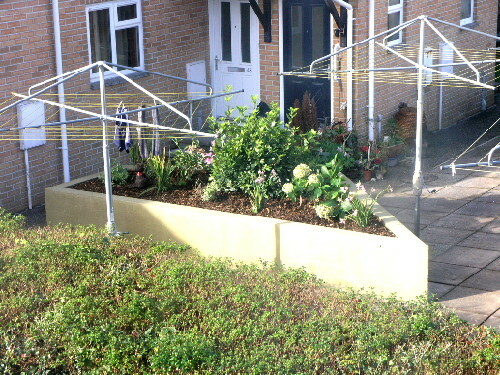 The hedgerow in the foreground of the picture has interfered with the efficiency of the rotary driers since 2009, despite complaints. Whilst I am all for a greener planet Mr Gilbert I do not believe it should be at the expense of it interfering with appliances in a work area just because the landlord needs to justify the the excessive cost of maintaining that greener planet. With regard to the Council’s rigged Welfare Assessments the LGO perversely applied absolute discretion not to rule the Council guilty of maladministration for disregarding Council Policies and procedures, eventhough my late wife rights were violated and she suffered injustice as a result and neglect as a consequence. The LGO also turned a blind eye to the Council’s willful and unlawful ‘ringfencing’ of Homechoice properties, and to the deceit upon the public as a consequence. Perhaps you could tell me Mr Gilbert if you think the LGO was right not to protect the interest of my wife, your constituent, or other applicants with mental illness ? Similarly the PHSO also applied absolute discretion in not wanting to know why the NHS Trust did not provide a Mental Health Representative on any of the Welfare Panels which assessed my late wife’s deteriorating mental health and her need for 24/7 care, or why the Trust instead provided the Council with an NHS support worker who was not acting in an NHS capacity whilst he was a Panel member. The PHSO also perversely ruled that the complaint was not about ‘care’ provided by the NHS eventhough the Welfare Assessments only became necessary due to a lack of ‘care’ by the Trust prior to the Welfare Assessments. Perhaps you could tell me Mr Gilbert if you think the PHSO was right not to want to know why the NHS Trust failed my late wife before, during and after the Welfare Assessments and up until she died ? You know Stephen I really do not mind losing an argument or a complaint if it is dealt with fairly and properly but I really do object when public advocates like the LGO, PHSO, IPCC and others, which were set up by Parliament to protect the interest of the public, now only protect the abusers, the criminals, the violators, the corrupt and those who seek to hide the true cost of austerity and government failures. Losing complaints to professionals who lie, cheat, corrupt, abuse and disregard evidence is evil and sick and the sooner this immoral practice stops the better. If not then Parliament must surely be seen for what it is, the mother of all sewars. I cannot tell you enough how fundamental the impartiality of these public advocates is to be a truly civilized and democratic society. The advocates have become the protectors of their corrupt pay masters. Perhaps you could tell me Mr Gilbert if these ‘independent of government bodies’ are funded by the Treasury ? 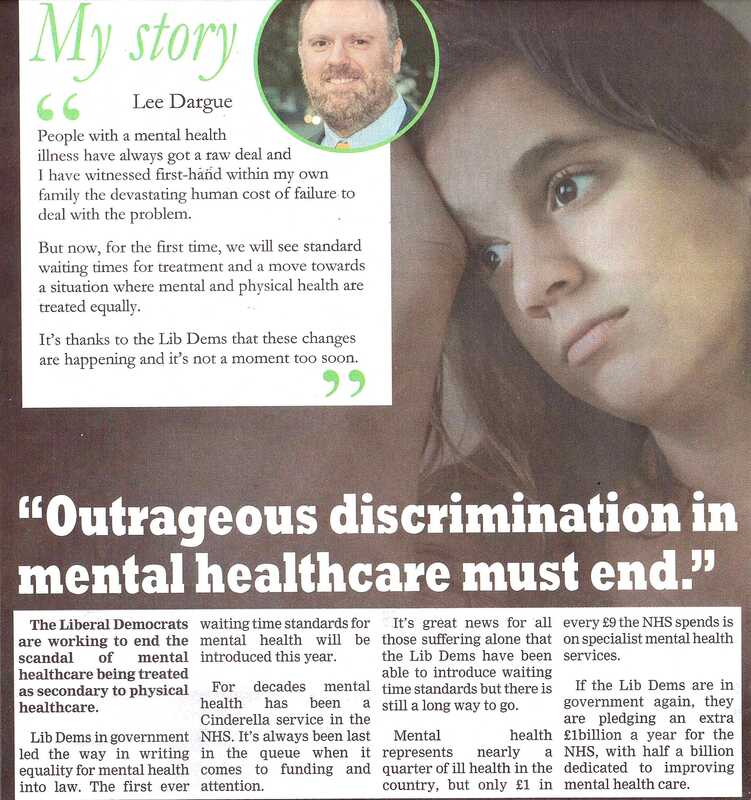 I also find it sickening Mr Gilbert that you and the Lib Dems are currently voicing the neglect and the needs of the mentally ill whilst you personally chose to sit upon a fence and do nothing. My late wife was a constituent of yours with long term mental disorders dating back to the 1980’s. What the Council and the Trust have been doing is willful and perverse and serves only to abuse and discriminate those with mental illness, many of whom will also be constituents of yours. Pictured is an article out of the ‘Cornwall Gazette’ which was published and promoted on behalf of S Gilbert (Lib Dem) this year. Discrimination against those with mental health is outrageous Mr Gilbert but why has it taken you so long to realize it ? 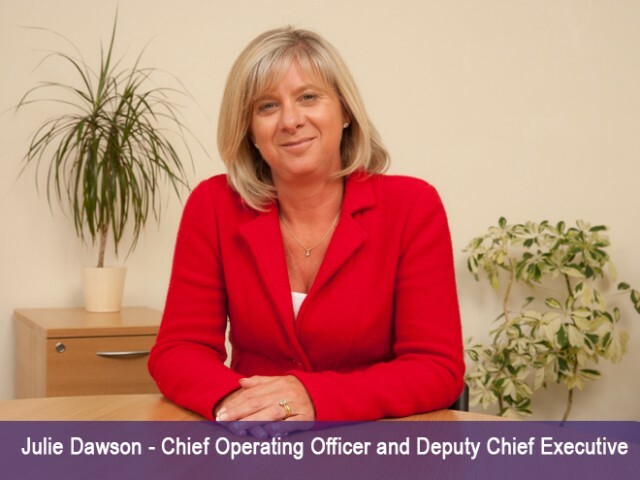 Pictured is Julie Dawson, Chief Operating Officer and Deputy Chief Executive of the Cornwall Partnership NHS Foundation Trust. The Trust has been stonewalling me since 2013 about it’s role in the alleged rigged Welfare Priority Assessments. When asked how many times the Trust had failed to provide a Mental Health Representative on a Cornwall Homechoice Welfare Priority Assessment Panel since 2009, the Trust said the cost involved in collating this information would exceed the ‘appropriate limit’ as defined by the FOI so the Trust is not obliged to comply with the request for information. Perhaps the most revealing and disturbing thing about this reply is the Trust itself does not want to know how many times it has failed the mentally ill. I have now requested a review. Cornwall Council Policy 23.2 clearly states that each Welfare Panel should include a representative from the Health Authority. In 2014 Cornwall Council sent me an unsigned letter from Legal Services threatening me with Defamation if I continued to name a Council employee and an ex employee who I alleged were party to rigged Homechoice Welfare Priority Assessments. In response I named 6 Council employees/ ex employees and the Trust ‘support worker’ of being party to rigged Welfare Assessments in a blog. 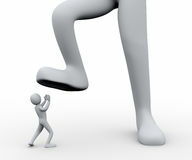 The blog titled ‘Defamation or Intimidation‘ has now been posted on social media in excess of 190 times. The silence from Cornwall Council is deafening and I still await my day in Court. Unless of course the Council cannot defend the indefensible and sought only to intimidate a member of the public. In 2015 Sanctuary again decided to waste more Charity funds paying Wragge & Co to threaten legal action over a blog I had written. Although I was the author of the blog Wragge & Co did not threaten me personally or directly but threatened to sue the website Hosting Company. This was an attack on Free Speech and is a further example of how CEO David Bennett CBE will abuse charity funds paying expensive lawyers to suppress Free Speech via the back door rather than pay to have the external water damage referred to in the blog repaired. External water damage which was reported to Sanctuary a number of years ago and which Sanctuary claims is the responsibility of the vulnerable tenant to put right. A tenant who is also a constituent of yours Mr Gilbert. 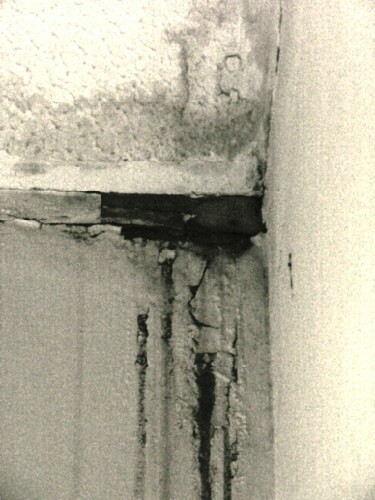 Pictured is the damage done by the external water damage some years ago. Because the damage is high up special equipment would be needed to repair the damage. Perhaps you could tell me Mr Gilbert how rain water coming in from outside is the responsibility of the tenant to put right ? The blog remains on the internet in it’s entirety and CEO David Bennett CBE is a poor excuse for a decent human being for misusing charity/public funds for his criminal activities again. What Bennett won’t do, like the Council, like Lacey, like Clark, like TPAS, and a number of other concerns who have all threatened me with legal action over the years is to take me to Court. Now why do you suppose that is ? To conclude I return to the beginning with the fence damage caused by the storms in January 2014. The thirty foot long section was replaced on 28 April 2015, some 15 months after the damage was done, and it took 2 men less than 3 hours to do the job. 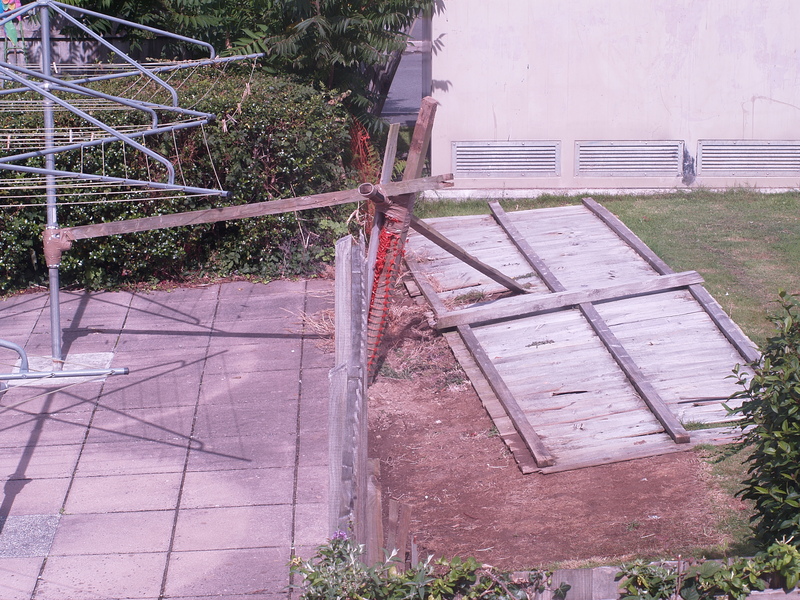 Pictured is part of the 30 foot long length of fencing which was eventually removed from the site some 7 months after being blown down and having destroyed an area of grass we paid to have maintained every week and which has still not recovered. Sanctuary’s earlier written advice as to why it could not be repaired sooner was because the damage was not a priority as it was not a health and safety issue. This with approval from CEO David Bennett CBE. Sanctuary originally sought to replace all the fencing and was quoted in the region of £10,000, I believe. The work now being done throughout the scheme is patchwork only which means more of the 20 year old worn out fencing will be blown down in the next bad storm, including new timber fixed to older fencing and posts, which will cost even more to put right next time. I believe the reason Sanctuary changed it’s mind not to replace all the old worn out fencing is due to a reduction in the Service Charge for the 2015 – 2016 period which will begin the first week in July 2015. I know this because the Service Charge on the empty flat advertised through Homechoice in March 2015 has already been reduced to £2.63 from £3.10 a week. Neither Sanctuary or the Council will explain to me why myself, and the other tenants, are still paying the higher rate. It could be worse. In the 2012 – 2013 Service Charge period Sanctuary overcharged the tenants by 54p each per week and had to reduce the Charge when I challenged it’s mis-information. Not generally known is an internal memo suggested the reduction should be more than 54p. If CEO David Bennett CBE paid to have it all the fencing replaced out of his own pocket, to make amends for making his tenants put up with the devastation and eyesore for 15 long months, he would still be on over £300,000 this year. Now that really is devastating. It is often the case Stephen that the people we are supposed to look up to and respect turn out to be the lowest forms of life we could ever encounter. Almost every professional named above falls into this perverse and parasitic group. I would like an enquiry into the corrupt practices of Cornwall Council regarding it’s willfuly mismanaged Welfare Assessments. I name Cornwall Council because it has known of my allegations for some considerable time. I would also like the corrupt practice of ‘ringfencing’ Homechoice properties investigated and the willful deception upon the public. I would like Parliament to investigate the Charity Sanctuary Housing for fraud and criminality upon myself, the tenants, and abused tenants throughout the UK. I would like Parliament to investigate why public advocates such as the LGO, PHSO, IPCC, and others, charged with representing the interest of the public, now only protect those bodies who violate the rights of the public.